High reps, high intensity and minimal rest time. This class lets you focus on overall endurance, both muscle and cardio. Mix things up with some lifting and some athletic conditioning. 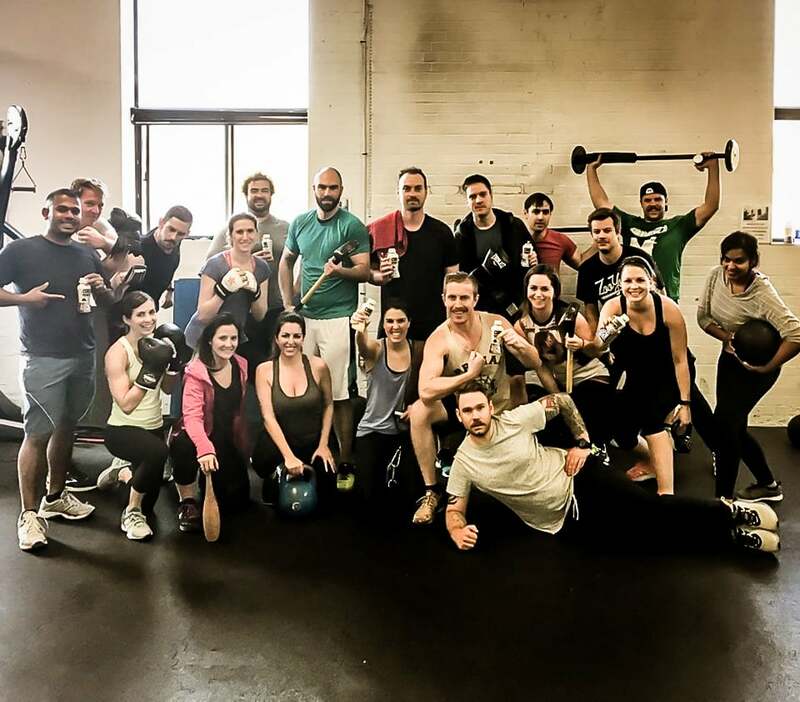 All Primal BootCamp classes incorporate strength training, cardiovascular conditioning and flexibility in a fun, creative and challenging circuit style class that can be performed by people of all levels. Whether you’re looking to lose fat, gain muscle or increase your overall fitness, Primal Bootcamp is the class for you. My Goal: To attain the goals of my clients using the most effective means possible for their given body type and abilities…. with functionality follow the aesthetics; look good, feel good, be better in every aspect of your health. Acquire the knowledge and tools to be accountable for your own well-being. A certified Personal Training Specialist (PTS) with a passion for powerlifting and strength training. I am certified Personal Training Specialist (PTS) with a passion for powerlifting and strength training. Whether you’re interested in losing weight or gaining lean muscle mass, body toning or increasing strength, I’ll help you achieve your goals with practical programming involving basic barbell movements and efficient conditioning. Growing up, my athletic interests were geared specifically towards hockey, but in high school, I joined the wrestling team. Weighing in at 155 lbs, I wanted nothing more than to become bigger, stronger, and faster to gain a competitive edge. My coach introduced me to the weight room, and I was hooked. With four years of intensive barbell training, I have gained 90lbs of mass, and my comparative strength has increased more than threefold. My focus has typically been powerlifting, but I also have experience with Strongman and Olympic weightlifting. I still strive to get bigger and stronger everyday, and I’m working towards powerlifting competitively in the near future. John is a Certified Strength and Conditioning Coach and Fascial Stretch Therapist. He uses a combination of training and therapy techniques to correct movement patterns and promote healthy pain free movement. Training with John, you can expect to gain new ranges of motion and get stronger and more powerful while moving with less pain. 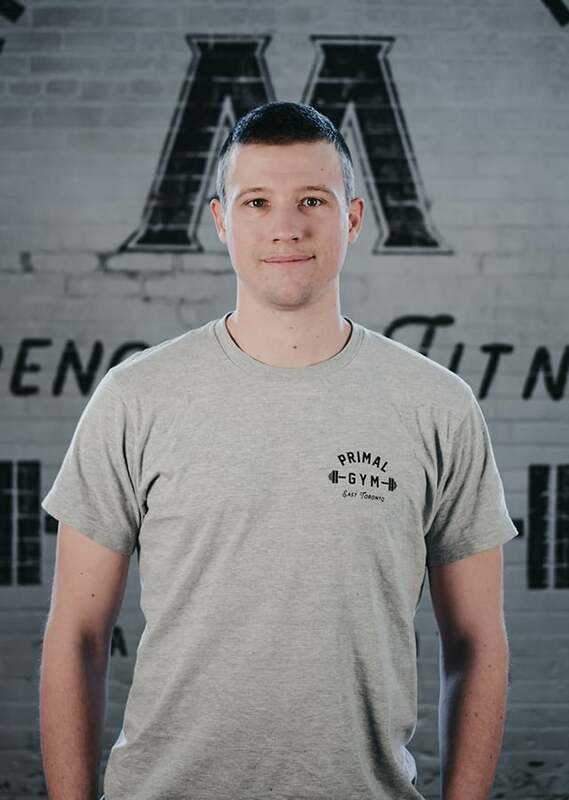 John grew up playing competitive hockey, soccer and lacrosse in the Toronto area, developing a love for sport which eventually grew into a passion for human kinetics. He went on to play junior hockey with the Port Colborne Pirates of the GOJHL while completing his Kinesiology degree at Brock University. John also offers sessions of pure Fascial Stretch Therapy out of the treatment room. FST is an assisted table stretching system that will release tight tissues in your body, increase fluid movement and break up adhesions in your joints. Ask John for a free demo to feel what FST can do for you. As a competitive figure skater, Anna was just as excited to train off the ice as she was on the ice. Once it was time for her figure skating career to end, she began to focus her energy onto different styles of training in the gym. Anna has been actively involved in health and fitness for almost a decade. As a competitive figure skater, Anna was just as excited to train off the ice as she was on the ice. Once it was time for her figure skating career to end, she began to focus her energy onto different styles of training in the gym. At the University of Windsor, Anna studied theatre. There, she continued to grow her passion for both theatre and athletics. 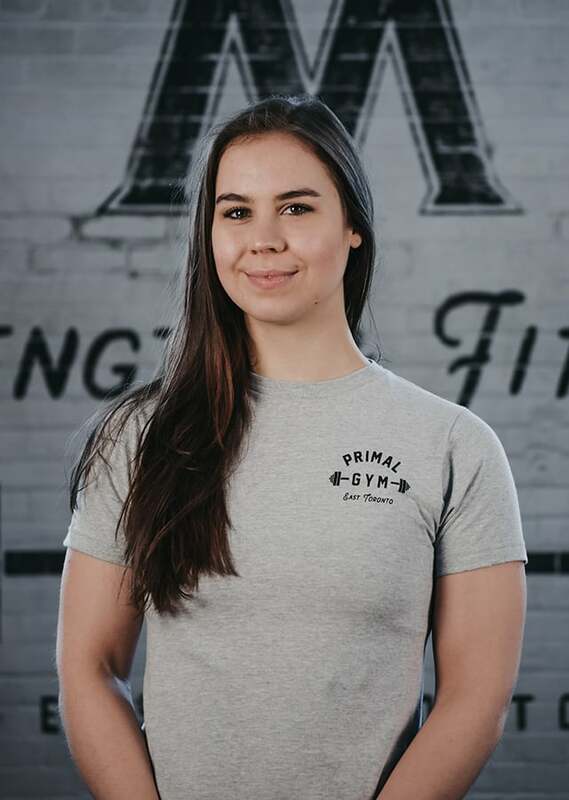 While focusing on physically demanding theatre genres, Anna studied to become a Personal Training Specialist with Canadian Fitness Professionals (Can-Fit Pro) and began her personal training career at the university gym “The Forge”. Anna believes in a holistic, functional and enjoyable approach to training. Her main goal is to help you reach yours! With focused, effective, safe and sustainable training, Anna believes in taking your training to the next level. Focus on building strength and increasing lean muscle with low reps and heavy loads. You’ll get lots of work with barbells, dumbbells, and kettlebells. Whether you’re a cardio junky or not, this class will get your heart rate going in a fun and creative way. You’ll blend traditional cardio formats with exciting agility drills and full body exercises with a strong focus on body weight exercises. M.V.M.T. stands for Movement, Versatility and Mobility Training. 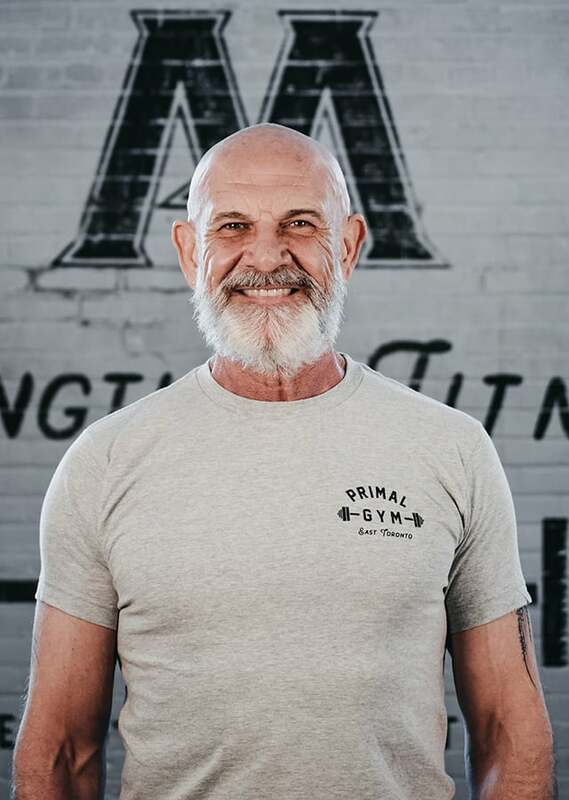 Primal Bootcamp – MVMT is a 1 hour fun but challenging class incorporating movement and mobility work, core strengthening, stretching, twisting, lunging, jumping, pushing, pulling, lifting and other natural human movement patterns. If you’re tired of your typical weightlifting routine and want to explore something new Primal MVMT is a great class for you. 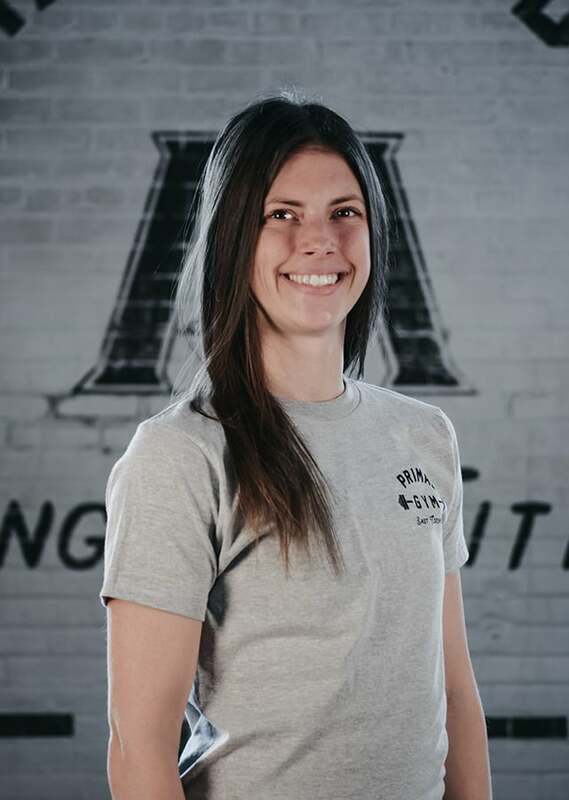 After graduating from l’Université de Moncton in 2011 with her bachelors in kinesiology, Sara jumped right into the career path of a personal trainer. She has a strong passion for working one on one with clients, helping them achieve their goals, and better yet, allowing them to realize much more than they ever thought possible. She loves working with all levels, from pure beginners to high performance athletes. However, her passion goes beyond what happens in the gym. With her clients, she encourages a great focus on lifestyle elements that will allow for a healthier, more balanced life. Sara has been passionate about movement and challenging her abilities since a very young age. Personally, she has a varied background; from being a dancer, a high performance track athlete, to currently training as a circus artist. Throughout all those years, she has always worked hard, alongside some of the best coaches. Being surrounded by such knowledgeable, passionate leaders, she quickly realized it was time to become the same to others. Over the years, she has managed to keep growing as a trainer by taking many different courses, where she also developed a passion for Fascial Stretch Therapy. This table assisted stretching method provides a significant increase in range of motion along with reducing pain and scar tissue. Sara believes in this therapy to help clients find the freedom to move, in and out of the gym. With a very well rounded, personalized approach, Sara is eager to support and guide others to their health and fitness goals! 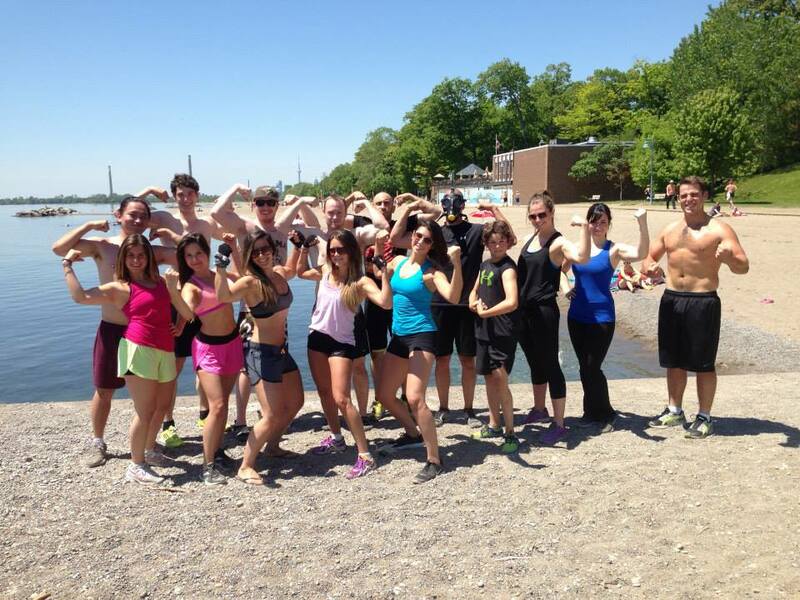 Once a month, through the summer season we take our primal bootcamps to the beach! You can expect similar level of intensity a our BootCamp Classes with a lot of focus on utilizing the natural terrain and outdoor calisthenics stations. A great sweat in the great outdoors! 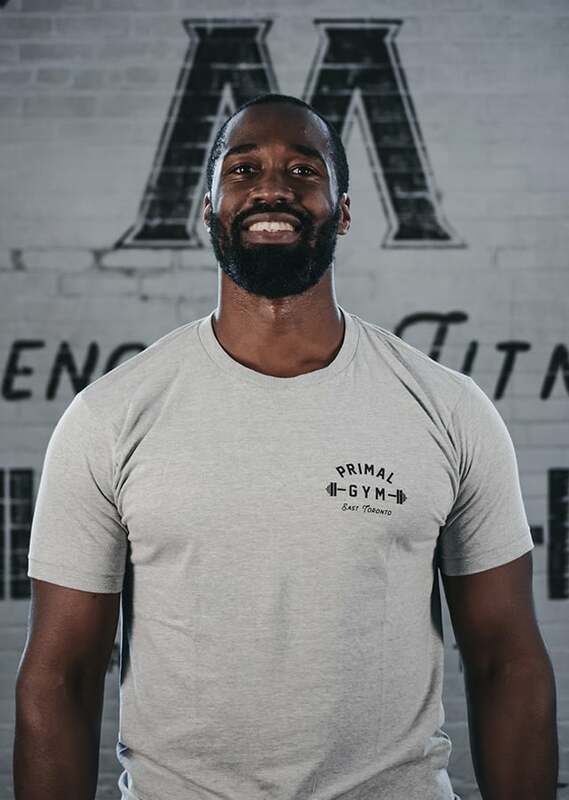 He opted to open Primal Academy and forge his own vision for a facility that puts members and clients first. A former elite middle distance track athlete, Thomas has taken his passion for athletics and fitness and molded it into a vessel for helping others achieve their personal fitness, health and athletic goals. Thomas has worked in the sports and recreation industry since 2002, as an athletics coach and strength trainer. In 2009, he began training full time in London before returning to Toronto in 2011. 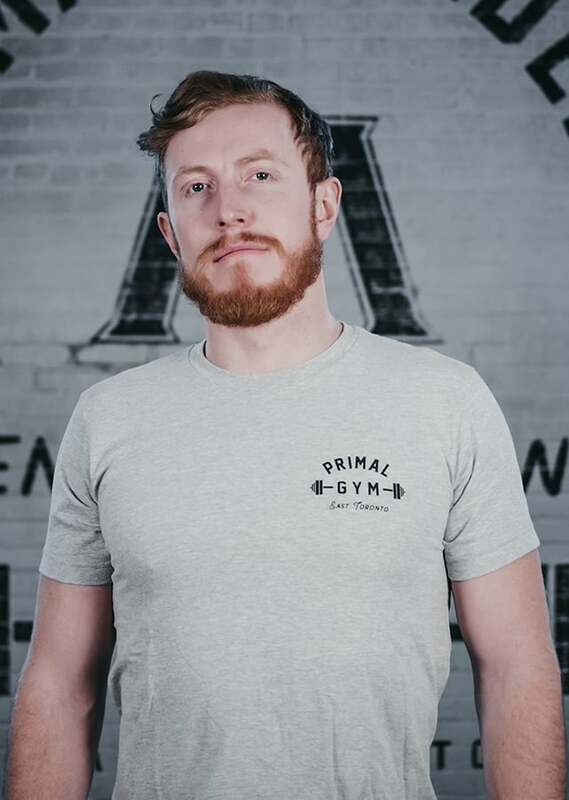 After years of working in a big chain gym, disenchanted by the work environment and training methods, he opted to open Primal Gym and forge his own vision for a fitness facility that puts it’s members and clients first. Since it’s opening Primal has seen two expansions with the addition of Primal MMA and Training Studio / Clinic in 2014. Thomas believes in a wholistic approach to training, encompassing all aspects of fitness and wellness, both body and mind. He views the human being as an athlete inherently, and trains his clients following this mantra. Thomas trains clients of all ages, with a wide spectrum of goals. From young athletes looking to gain an edge with their strength and conditioning, to individuals who simply want to look and feel better through weight loss, lean muscle development and a change in body composition. His specialties include Hypertrophy (muscle development), Fat Loss, Injury Rehabilitation, Athletic Conditioning and Strength and Conditioning for MMA. 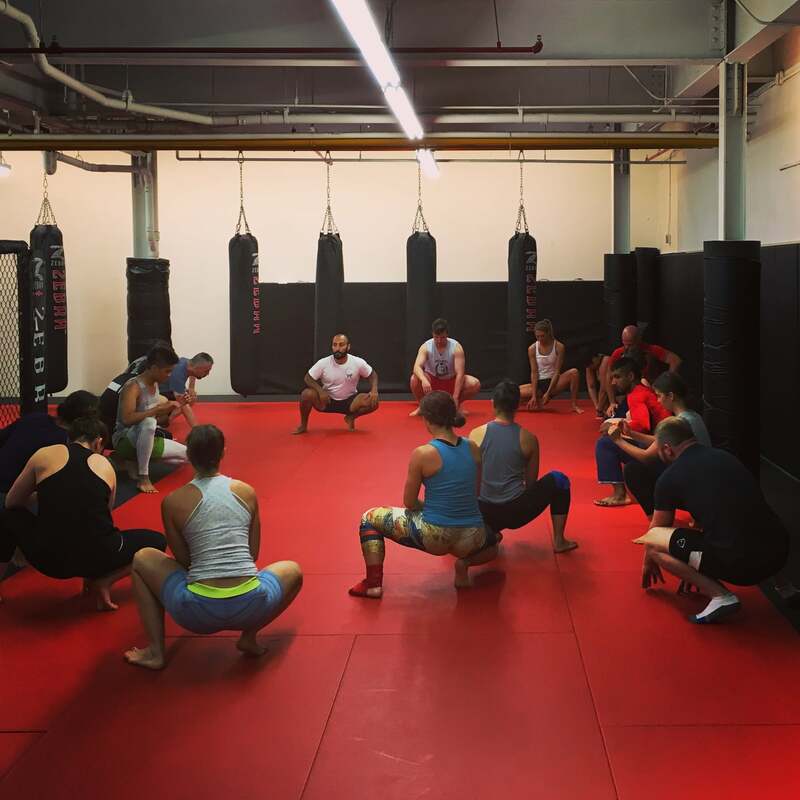 Fight Fit Kickboxing is a fantastic way to enjoy all the fitness benefits of kickboxing in a fun and fast paced class that is safe (no fighting/sparring). You will learn proper technique and use it to kick and punch your way through circuits that incorporate bag and pad work, strength training, speed & agility and cardio. Champion Kickboxer who instructs both 1-on-1 and in groups. At the age of 21, Kiian Knight has already gained a great reputation in the fight world and fitness industry. 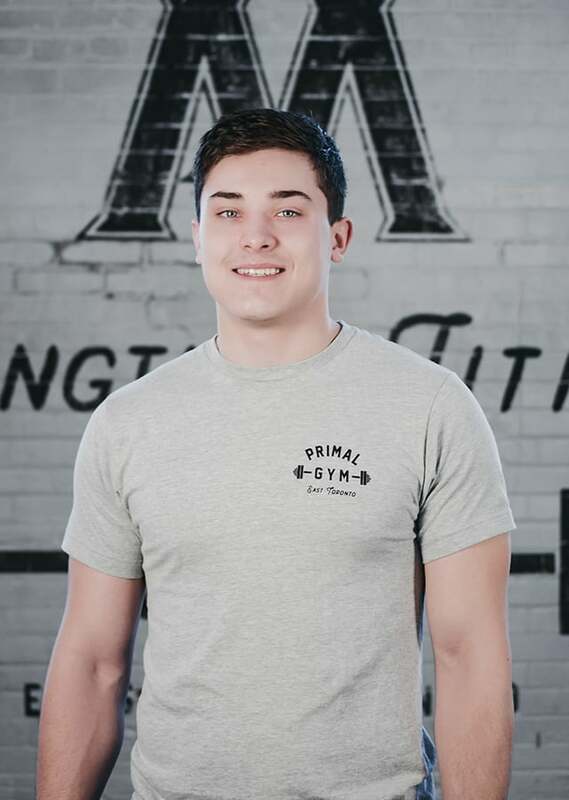 As a certified Canfit level 1 personal trainer and amateur competitive kickboxer, he has taught and teaches a variety of classes around the city, including kickboxing, full body circuit, and strength training . Kiian has participated in martial arts since the age of 6, specifically developing a passion for kickboxing in his teens. In 2014, he held the title as a North American K1 kickboxing champion. 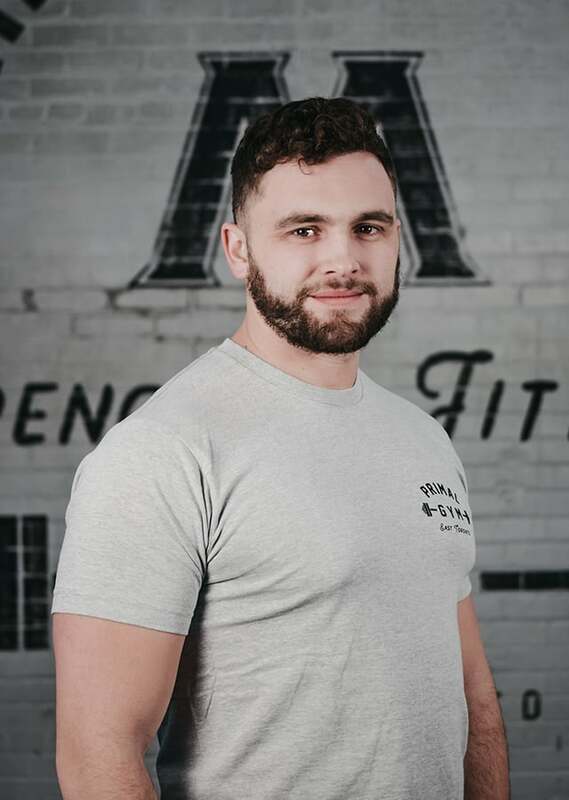 Currently he is an amateur competitive fighter and loves to share his passion for kickboxing and fitness with those who want to get fit and learn to fight. Primal Gym offers Primal Yoga Classes in Leslieville Toronto. Primal Yoga is a 1 hour fun but challenging yoga class incorporating core strengthening, stretching, twisting and meditation in motion, all in one session. Proven to be extremely beneficial for athletes concerned with overall tight muscles especially tight hamstrings and hip flexors. A great compliment to many other types of training. A practicing yogi and Power Yoga teacher committed to sharing my love and passion for yoga. I’m Lou Berkovits, a practicing yogi and Power Yoga teacher committed to sharing my love and passion for yoga. I teach a vinyasa or flow of movements based on the Journey Into Power series created by Baron Baptiste. I have consistently found this series to be the most challenging, rewarding and beneficial. Regardless of how many times I have practiced this flow, no two experiences have ever been the same. Each practice is as unique as that day, as that time, and as that moment. Get ready to work hard, get sweaty, get messy, and create the possibilities that lie within you to evolve into your grounded and true self.